One person is dead after a supercar crashed into a tree line near Spruce Grove Friday night. RCMP and EMS responded to a single-vehicle collision on Range Road 262 at approximately 9:55 p.m. The vehicle, a 2005-2006 Ford GT, was headed southbound, entered the ditch and spun into the tree line, RCMP said Monday. The driver was taken to hospital with non-life threatening injuries, and the passenger was pronounced dead on scene, according to police. Witnesses who heard the crash told CTV News the vehicle was moving "very, very fast." RCMP are investigating the factors that led to the crash. 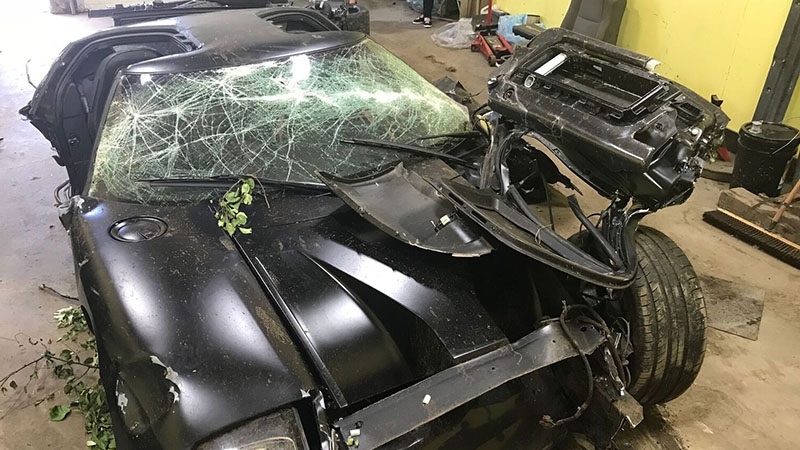 This Ford GT was involved in a single-vehicle collision where one passenger was killed on a rural road west of Edmonton. 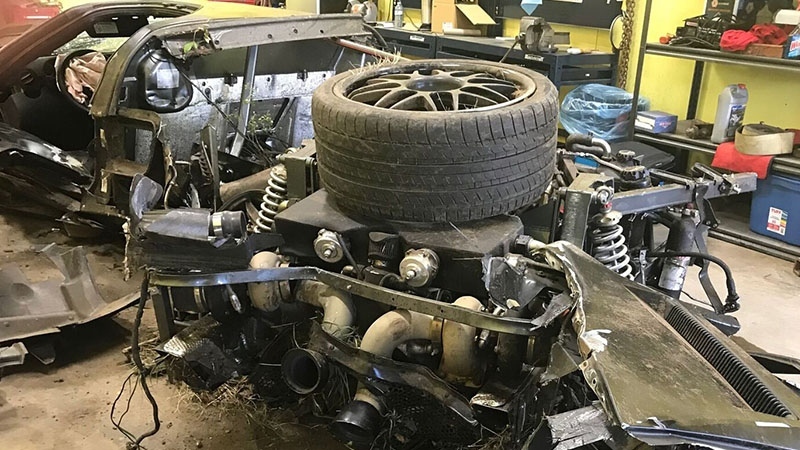 The 2005-2006 Ford GT is unrecognizable after the fatal collision.